The state budget crisis is proving that California budget cuts are as blind as Justice herself. California courts will be tightening their belts to the tune of $350 million in the 2011-2012 fiscal year. According to the Judicial Council of California, the legislature cut an additional $310 million from the State Court Facilities Construction Fund, which will delay some courthouse projects for up to year. Although the judiciary accounts for 2.88 percent of the state budget, the FY 2012 judiciary budget adjustments represent 3.5 percent of the state's budget solution. California Supreme Court Chief Justice Tani Cantil-Sakauye criticized the budget cuts at a town hall meeting earlier this month. The Chief Justice noted that there has been a 30 percent cut in state court budgets since 2009. 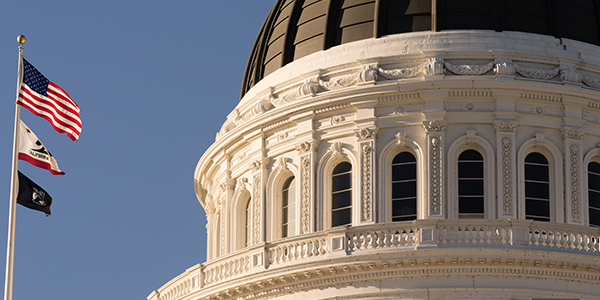 "In human terms, these kinds of cuts to the judicial branch means that the most needy will go without a forum to swiftly resolve problems and grievances and violated rights," Cantil-Sakauye said, reports Southern California Public Radio. Of the $350 million in California budget cuts, trial courts will suffer most with a proposed $319.3 million cut, including a one-time $183.5 million saving from delayed construction, technology, and non-critical projects according to the San Jose Mercury News. Other proposed budget cuts include $13.4 million from the Administrative Office of the Courts, $2.8 million from the Supreme Court, and $12.4 million from the appeals court. California Governor Jerry Brown signed the deficit-cutting budget on June 30. The budget, which returns the state to 1970s spending levels, incorporates both budget cuts and a $5.2 billion increase in projected and actual tax revenue.